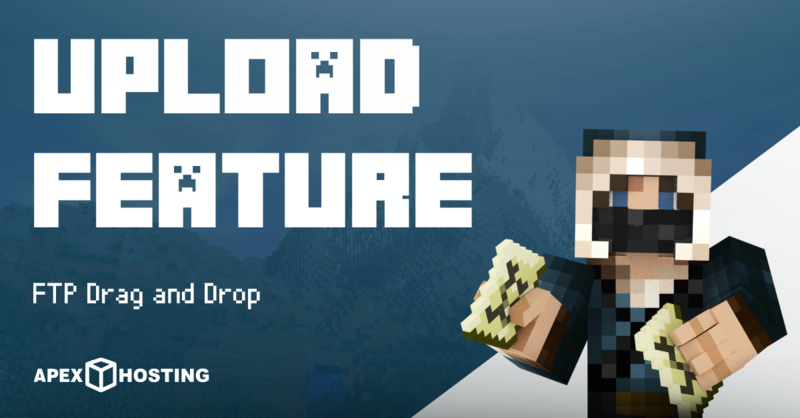 Drag and Drop FTP Available Now! We are constantly listening to your feedback and working to add amazing features that you guys request to make your server hosting experience even better! Today we are proud to announce that one of the most highly requested features is now available and that is drag and drop FTP! It’s amazingly easy to use and to top it off we have removed the 50mb limit to file uploads! So you can now upload with out any worries of hitting that upload limit! Here is a screenshot below that shows what it looks like and how it works! Simply drag the file(s) you want to upload and it will queue them on the left showing progress as each file as it is uploaded. It’s just that easy! We really hope you enjoy this new feature and please continue to share your feedback with us so that we can continue to give you the best server hosting experience ever! We are always working on new features and plan on rolling more out soon.